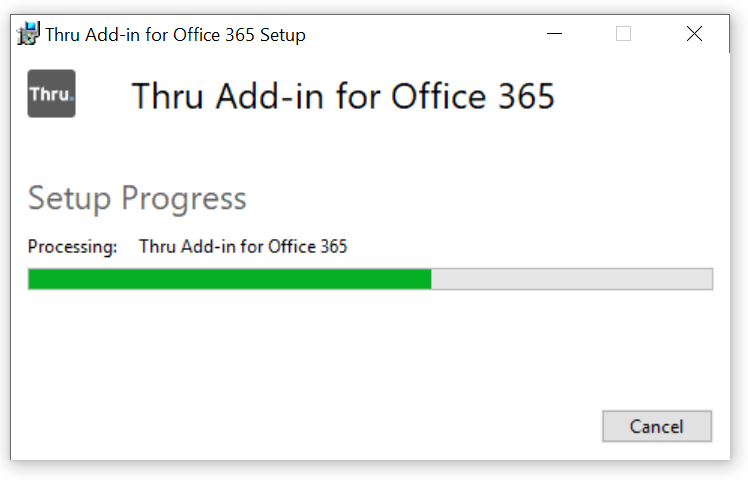 This section of the Thru Add-In for Office 365 guide will show you how to download and install the add-in. 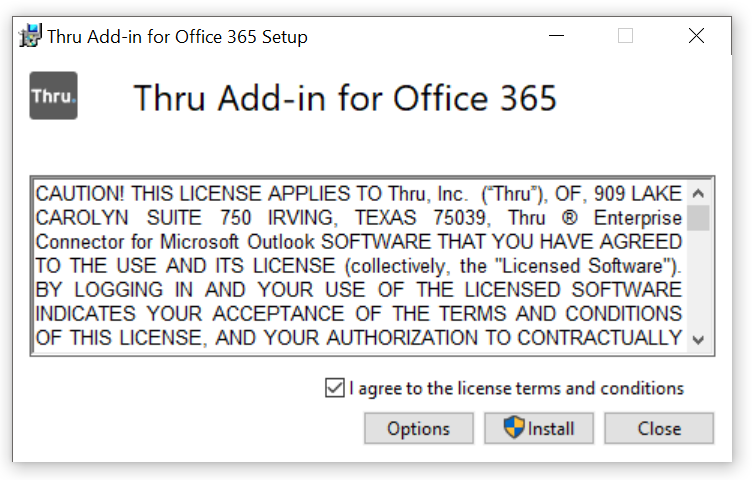 Select the “ThruAddin” link on the page and the Thru Add-In for Office 365 installation file will be instantly downloaded to your computer. After downloading the add-in installation file to your computer, open up the file to begin installation. When the file is opened, first review the terms and conditions and check the confirmation box. Next, click “Install” and wait for the add-in to be installed to your computer. After installing the add-in, close out of your Office apps (Microsoft Word, Excel and PowerPoint) and re-open them to start using the add-in.